When I haven’t had my head buried in a few projects around my own house this month, I’ve been knee deep in a fun new residential client that Caroline and I took on towards the end of last year! This one is definitely outside my comfort zone, since the client’s style leans in a much more colorful direction than my own personal aesthetic does. But that’s part of the challenge and the fun of being a designer: Using my own expertise to translate someone else’s vision into a space that both satisfies my own high standards and speaks to the client’s soul! 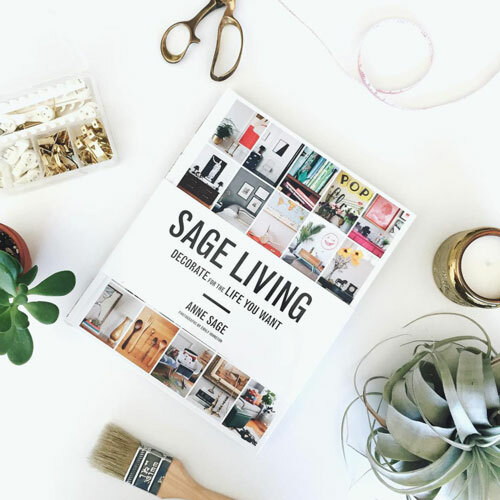 The final product will be an eclectic modern living room that feels like a home—and that also feels like a shining star in our portfolio of work. Above you can see the mood board that we assembled and presented to the client at the outset of the project. We knew that in addition to unexpected color combinations, unusual shapes would be the way to make this space feel sophisticated but also fun and whimsical. As you’ll see below, we’ve since veered a little from the deeply hued direction of this board, but it was great at least to have a jumping off point—both to inform own design process and to ensure that the client was on board with where we were headed! After several deep dives into our favorite resources (and more than a few site visits to check colors and measurements! ), we’ve so far landed at the above selection of pieces. The space is one large open area, and in most circumstances it would be dedicated to one seating area and one dining area. 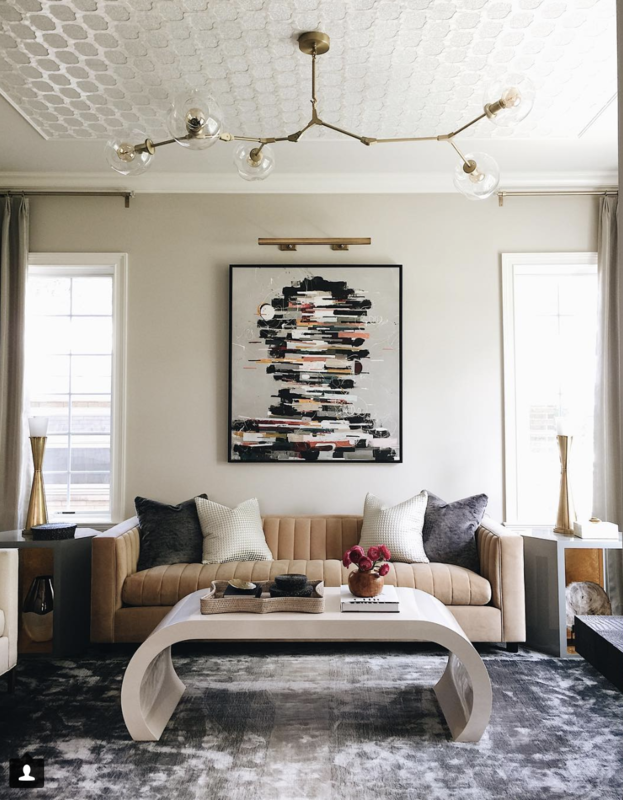 However, during our first meeting the client informed us that they never use a dining table but rather love to entertain by having friends over for movie nights and cocktail gatherings. So we approached this project as though we were designing a hotel lobby, with two back-to-back conversation zones and no dining area at all. 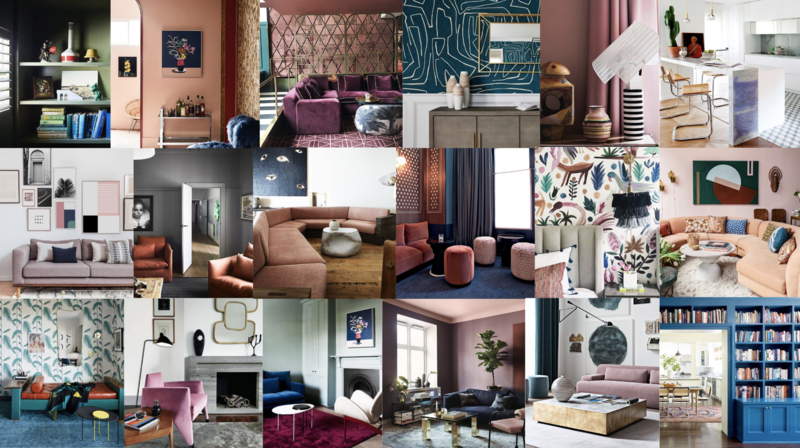 Those blue velvet sofas are going to look so sumptuous in the center of the room, and I’m really proud of how each seating block has its own personality but also resonates with what’s happening on the other side of the room too. We’re also going to be updating their fireplace with a pretty custom tile and a new marble hearth, which for sure is going to take things to a whole other level! We’ve still got lots of decor holes to fill (small accent tables, a media console, incidental lighting, etc.) but for now at least, all the large upholstered items are in the works and we’re trucking right along! P.S. 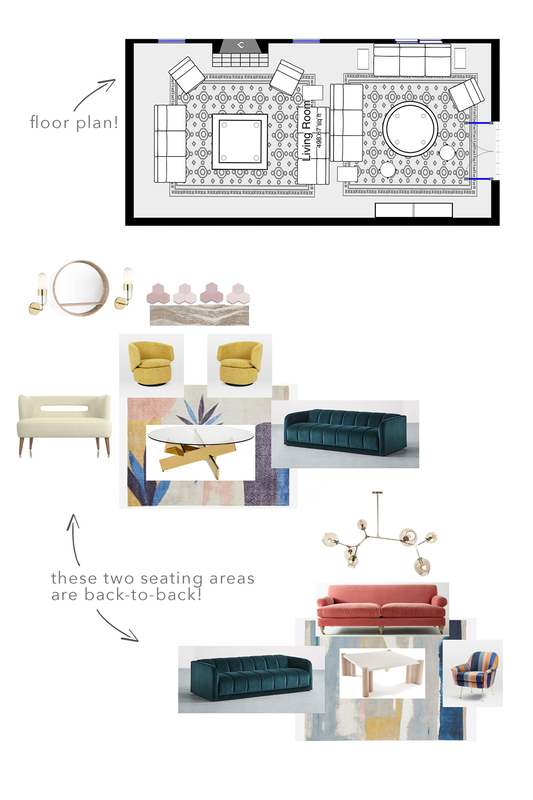 Did you catch the Art Deco office project that Caroline and I designed together last year?! It’s since gone viral, especially that checkerboard ceiling! Header image.